Temptation is second nature with the Jimmy Choo Man Intense Eau de Toilette, a fragrance for men with smooth sophistication. The masculine Eau de Toilette is made for a man with a confident attitude, his intriguing character the perfect match for this evocative fragrance. Sweet and suave with an unmissable depth, Man Intense is straight to the point; destined for a man that knows exactly what he wants and is never afraid to go after it. The woody fougere begins with lavender, its warm floral character blending effortlessly with sweet tones of melon and mandarin, which give the top a sweet introduction. In the heart, seduction overtakes all as nuances of artemisia, black pepper and geranium woo the senses with their intriguing tones, before nods of tonka bean and patchouli leave a deep, pulsating signature. 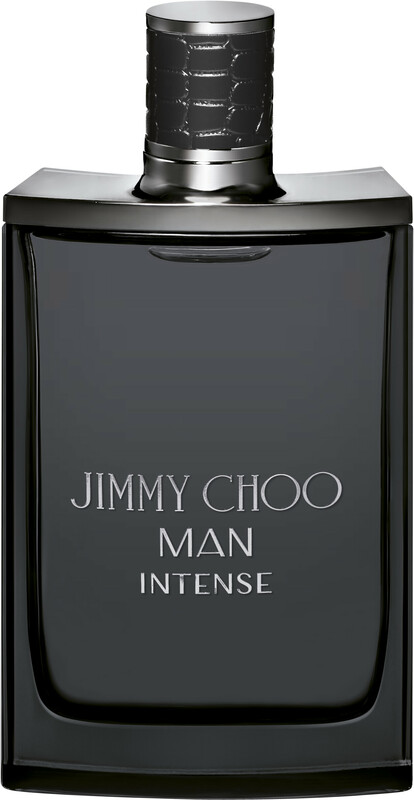 Jimmy Choo Man Intense Eau de Toilette Spray is rated 4.5 out of 5 by 2. Rated 5 out of 5 by Tsf90 from Lovely fragance I tried this in the shop ...loved the fragrance ... Came here to get it for my bf at the best price and came with complimentary weekend bag. Smell was a little too intense for my bf initially but it stayed all day. Would recommend! If you like the original Jean Paul gautier men then think you'll like this!